The First Times a Charm. Nori had never picked up a fly rod before hopping in a drift boat and setting out on the Upper Andro. After a half hour down and dirty 'guide special' casting lesson at the beginning of the day, he was getting tight on quite a few 'bows. 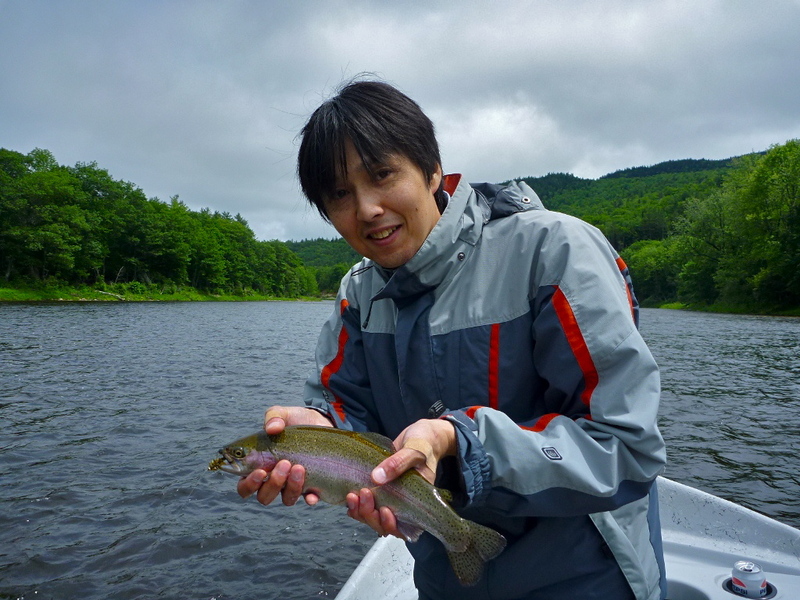 Below was one of three doubles that he and his buddy Masayuki teamed up on.... in a row! 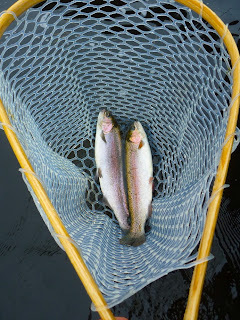 Streamers continue to put a lot of fish in the basket, especially on cloudy days. Alder flies (aka Zebra Caddis) are coming off in droves, so don't ignore some fat green caddis nymphs on the drift and a Barr's Graphic caddis on the swing can be deadly. In the evenings, pay attention the scum lines in the back eddies for snouts eating spent egg layers. Glad to hear the season is shaping up to be a good one. Nice looking fish. Tight Lines.